Intents on Android using API 26 to open PDF documents. Recently, the Google Play store updated its requirements so the target API level of 26 was used to get new apps submitted. While this was reasonably easy to achieve through updating the AndroidManifest.Template, the change to the newer API changed the behaviour of my application. Before the update, I would download a file to the CachePath and then share to a public folder. I would then get a URI for the public folder path file and share via Intents. Following the update, this no longer worked. After a little research, I discovered this was due to the changes in the Android security system, that actually, make a lot of sense. Rather than sharing the file outside the application, you now provide tempory access to it via the Intent. To achieve this, you need to setup a Provider, (this is done via XML) and then programmatically provide the path as a ‘content://’ URI, set flags for allowing read / write access via the intent and share it. The video shows how to achieve this and demo’s the working code. To help, below are some of the XML blocks you will need upon the way. Add this to the AndroidManifest.template in the source code root folder, before the </application> tag. This is then used to build all Android apps. Create a fileprovider.xml (or whatever file name you set in android:resource when declaring the provider). Many years ago I was the lead developer for a software development company that was a market leader in the leisure industry. Back in the day, we were using Delphi 3 and then Delphi 5 to create the software. The software was a complete CRM that interfaced with access control systems, card readers, ran in multiple languages, and offered everything from reservation management to debt collection. So why am I starting my post with this trip into the past? – In short, One thing that was true then is even truer today. The more customers the software won, the more systems we were asked to integrate with: From a finance point alone, customers wanted to consolidate their business accounts into Sage, QuickBooks and the like because they were the best at doing specific accounting jobs. While the software my team wrote managed a large percentage of the daily business, it was part of the mix that made up a customers technological capability/software systems. – No App is an Island! Working with so many different systems and API’s can be a real handful, different API’s work in different ways which adds testing complexity, and more skills and knowledge that needs to be learned. If it was working with text files, SOAP (needed to get to Delphi 6 (ok 7) for that), sockets, or a growing number nowadays via JSON and HTTP, a lot was required to manage and maintain these connections (and develop the new ones each time they were needed). Being at the heart of the connection! While connecting to other systems was important, one thing that really establishes a product is what connects to it! One of the biggest boost sales ever received (while I don’t think they really appreciated it at the time) was the development of an external use API into the core system. This for the first time enabled customers to build their own extensions that worked with our software. Rather than limiting the potential for custom development, this added the desire for the customer to build their own applications that became reliant on our systems. Those that built on our frameworks became worth a lot more in the long term value that those that didn’t. But why is that important today? This week has seen the launch of a brand new initiative from Embarcadero, who have partnered with CData to provide Enterprise connectivity to 80+ Enterprise applications. Well, using FireDAC, these connections are easily added to any application as a database driver (just like connecting to InterBase or Oracle or any other SQL database). It then manages the magic of converting all API’s into standards base SQL to work with! a far simpler development process! This also means easy access to FireDAC’s core capabilities such as LocalSQL etc. Enterprise connectors coupled with RAD Server enable developers using RAD Studio, Delphi or C++Builder to build amazing connected middle-tier systems rapidly, that are shared using modern JSON connectivity. With the ability to easily connect to so many different data sources, and make those available via JSON and YAML documentation, you can deliver a single sign-on server with amazing connectivity very rapidly. With API usage analysis built into RAD Server, management of the heart of your customer’s software systems is easy to achieve, making your products an integral part of their future. Get RAD Server for FREE! Right now (Until 30th June 2017), a Site license of RAD Server is available free with Architect editions of RAD Studio, Delphi and C++Builder. To learn more about RAD Server, I suggest checking out RAD Server home page or searching RAD Server on YouTube. The Enterprise connectors beta is now available to those on the latest version of RAD Studio, Delphi or C++Builder. Visit the link here to find out more about the 80+ Enterprise systems included, such as Salesforce.com, SugarCRM, Google Analytics, MailChimp, Microsoft SharePoint, Paypal and Oracle Eloqua spanning Accounting, CRM, Marketing, NoSQL, eCommerce, Social Networking and more. 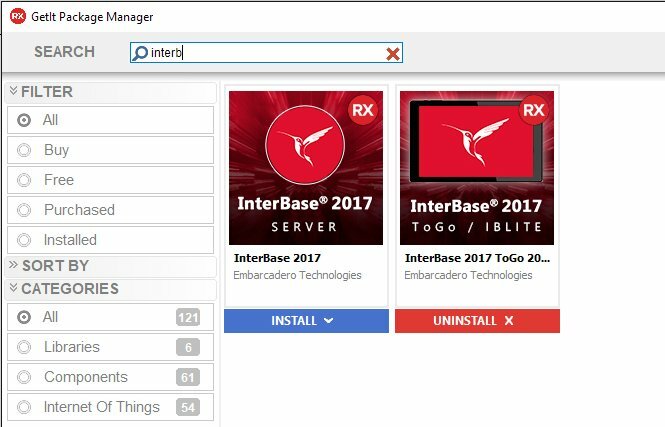 InterBase 2017 is now available for installation directly into RAD Studio via GetIt for use in Delphi and C++Builder applications across Windows, macOS, iOS, Android and also for Linux. While a Linux InterBase Server Edition has been available for many years with InterBase, the introduction of the new Delphi Linux compiler in 10.2 Tokyo has ensured the addition of Linux as a new platform supported by ToGo. To install ToGo, just open GetIt in the RAD Studio IDE, (Tools > GetIt Package Manager) and search for InterBase. From there you can install both the InterBase 2017 Developer Edition server and also the InterBase ToGo libraries. InterBase Server enables multiple connections to the same database either locally or over a network. InterBase ToGo is a dynamically loaded version of the InterBase engine that runs in process for local connections and data storage or to act as a client driver for a remote conenction. Watch the video and see how to add InterBase ToGo into your Delphi and C++Builder applications. Click the link here for a free trial license of InterBase ToGo. If you are new to Database Development, then check out Cary Jensen’s latest FireDAC book that uses InterBase in a lot of the examples. There has been a growing stream of Delphi books in the last year covering everything from cross-platform development with FireMonkey to coding best practices around OOP. The latest book to be released is by long time Delphi Author Cary Jensen, specifically looking at database development with the cross-platform enabled FireDAC. If you have been developing with Delphi for any amount of time, then you will probably know about Cary Jensen. For those who don’t, Cary has written more than twenty-five books on software development, including some of the most popular works on ClientDataSets. 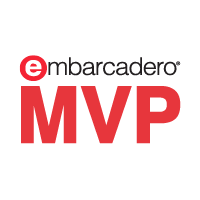 Cary is an Embarcadero MVP and has been providing training, consultancy, and software development services since 1998. 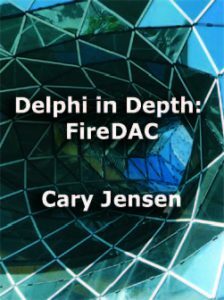 Cary’s latest book, Delphi in Depth: FireDAC is now out and available covering 17 chapters about using FireDAC, the blazingly fast multi-platform database components from Embarcadero. In Cary’s own words from his blog – this is the NEW goto book for database development with Delphi – and from a quick scan – I completely agree! Spanning over 500 pages, the book is full of examples, tips and techniques for making your database applications scream! The book starts with an overview of the Features of FireDAC, 8 pages of high-level notes about the breadth of FireDAC – everything from Cross platform support, to ArrayDML, to DataType mapping and using LocalSQL (a very cool feature of FireDAC). The book then helps you get started in the IDE and your applications before moving into the more advanced topics. The book uses the IoT Award winning InterBase for the examples. 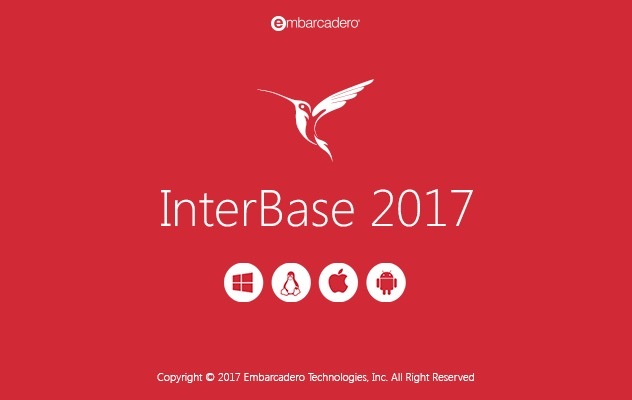 InterBase is the cross-platform SQL database for Windows, macOS, iOS, Android and Linux. To download the latest developer edition of InterBase for free click here. InterBase XE7 update 7 is now available for general release. This is part of the active support of previous editions, for the latest long term support version of InterBase, see InterBase 2017. What’s in InterBase XE7 – Update 7? Backup speed improvements when a Change Views are in place. Following the release of InterBase 2017, it is now time for the InterBase Developer Survey for 2017 – open now until the 14th May. Prioritise and add to a great list of features planned. The survey should take between 15 and 20 minutes to complete. 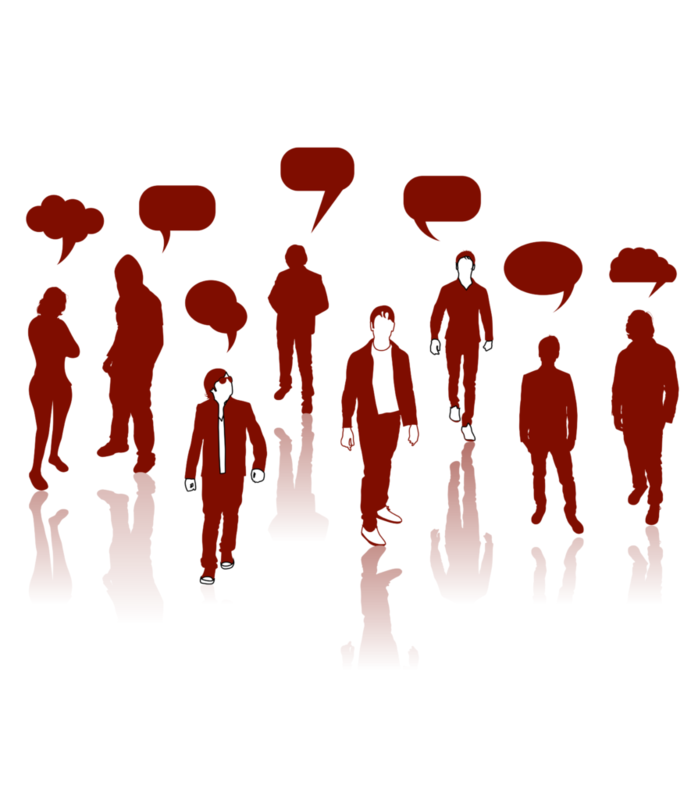 The output of the surveys has a major influence on the future of InterBase development. Previous surveys have lead to award winning features such as Change Views based on your input so have your say now! Thank you in advance for taking the InterBase Developer Survey. Take the InterBase 2017 Developer Survey now! greatly improved compiled C++ performance, debugging, and large memory support for the linker. Delphi Linux Compiler is here! Today is a landmark day for Delphi developers everywhere. Delphi for Linux is now available delivering support for Linux 64bit server-side and standalone applications for Ubuntu and RedHat Enterprise. The compiler is build on top of the LLVM engine and is ARC enabled with one based strings as default – this makes its quicker and easier to port between Linux and Windows Server to gain the advantage of lower cost Linux servers (on premise or in the cloud), all from a single code base that is fast and secure as its compiled. PA Server is again the bridge between the RAD Studio IDE and remote systems (now supporting remote Window, macOS (and iOS) and Linux) that enables remote debugging and deployment of files. Marco Cantu recently blogged about the wide coverage of RTL units on Linux – This list doesn’t include units outside of the core RTL, which include FireDAC, DataSnap, EMS, WebBroker, Indy, and DunitX. The only major omission right now is bluetooth. With the focus on Enterprise Server development, FireDAC, the fast cross platform database access layer now includes MariaDB meaning support now exists on Linux for MySQL, MariaDB, Microsoft SQL Server, Oracle Database, InterBase, PostgreSQL, Sybase SQL Anywhere, IBM DB2 Server, Firebird, Advantage Database, MongoDB, generic ODBC driver and support for local databases like SQLite and InterBase ToGo / IBLite. 10.2 supports Ubuntu LTS Version 16.04 and RedHat Enterprise Version 7. The choice of Ubuntu (Debain based) and RedHat (Fedora, CentOS) has proven in the beta forums to offer a much wider coverage than the official support distributions, that will I’m sure grow in time. Here we are in early 2017 fulfilling the promises we made back in November 2016 to deliver a new version of our award-winning InterBase RDBMS. We referred to InterBase 2017 as Project BigBang during development because of the positive impact InterBase is delivering. We have been listening to you, our customers. This result is created by delivering some of the most sought after features, ISV’s and Fortune 100 customers have been asking for such as SQL Derived Table Support, and Server wide performance monitoring to enhance the ability of existing applications to use InterBase as a back-end RDBMS, and that’s just the beginning. I want to say a big thank you to those who have been personally involved in the beta program, your input is invaluable and is shaping the future developments and direction, including already planned content for Update 1.